"Great job done . Quick reply to phone call, turned up to do job on time and cleaned up. 5 star would use again without hesitation." 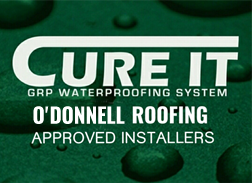 "I would highly recommend O'Donnell Roofing, they are very honest guys and they know the industry. Very easy to speak with, which does help. I will use the again, hopefully not to soon though." Make O'Donnell Roofing your first choice when you need your roof repaired. Offering a wide range of services at competitive rates we install and maintain all types of roofing including slate and tile roofs, flat roofs and all roofing repairs. 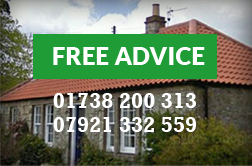 With nearly thirty years’ experience in the local roofing and building trade we have the expertise to help you sort out your roofing problems effectively and within your agreed budget. We will advise you what’s best for your property and the most suitable materials to use. We provide a comprehensive range of services and can advise you about the most appropriate course of action whether it be a new build or renovation project. Choosing natural slate is the preferred option when renovating a period property and in many cases planners may insist on its use to conform to the local vernacular building style. 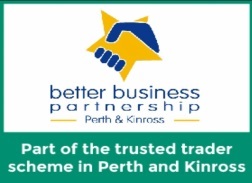 We can undertake a range of repairs or re-slating options as well as undertaking new build work and planned maintenance throughout Perthshire and Central Scotland. Whether you need a repair to an existing slate roof or you want to install new guttering or Rhone’s we can help. No job is too big or small whether it’s roof work on domestic, residential, commercial, ecclesiastical and industrial properties we can do it. We fully understand that every client has different needs and roofing problems, we treat every customer individually. We also know that people may be constrained to a fixed budget so will give our honest professional advice and will give options and alternatives wherever possible. All of our roof repairs are guaranteed and we carry public liability insurance up to £5million pounds. Don’t delay call today, contact us by phoning 01738 200313 or 07921 332559 or on Facebook and Twitter.